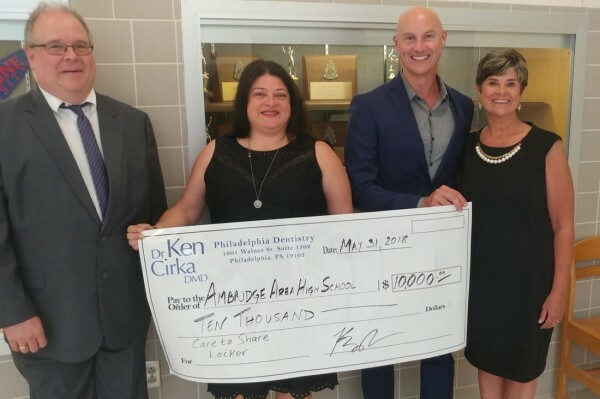 Recently, Dr. Ken Cirka was inducted into the 2018 Hall of Honor at his Alma Mater, Ambridge High School for his great work in dentistry and the community. 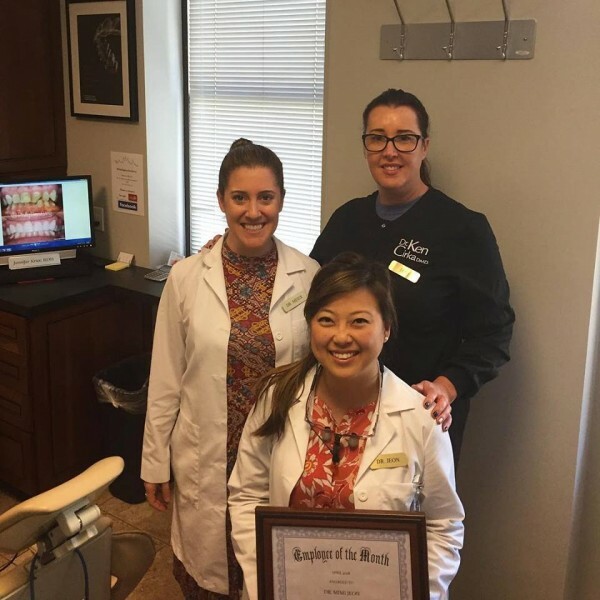 Dr. Cirka is a philanthropist who is active in the community. 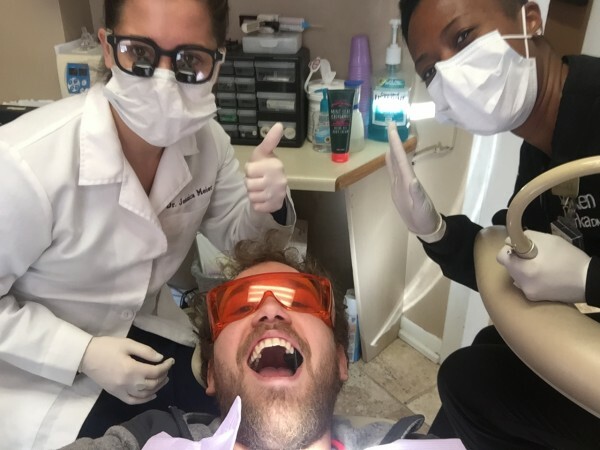 Whether it’s the Muscular Dystrophy Foundation, American Cancer Society, Habitat for Humanity, Feeding America or the Boys and Girls Clubs of America, Dr. Cirka loves helping others. The 1989 graduate heard a few months ago that his high school was having financial trouble. Instead of sitting back and doing nothing like most people would have done, Dr. Cirka decided his school needed his help. Dr. Cirka met with the high school Principle Janet Zupsic, and they thought of a “Care to Share” program where children can get supplies, food, deodorant, and other daily essentials. This will help many children who don’t have enough lunch money get something to eat when they’re hungry. Often times, it could be embarrassing for children to go up and ask someone if they can have deodorant or other daily necessities, this program will help kids feel better about themselves. A student was interviewed at Ambridge High school about the “Care to Share” program and said, “I know some of my friends are hungry because they do not have lunch money or they don’t have hygiene products at home to take care of themselves.” With Dr. Cirka’s generous donation of $10,000 he hopes that this will be enough to benefit as many children in need as possible and help the students have a better high school experience. 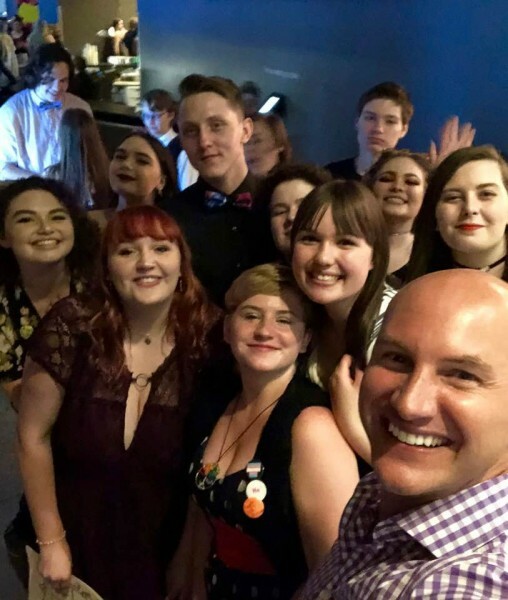 Along with donating to Ambridge High School, Dr. Cirka paid for 500 students to have the time of their life at the only LGBTQ Prom in Southwestern, PA in the Andy Warhol Museum in Pittsburgh. The prom included a sit-down dinner, silkscreen printing, dancing and much more. “Dr. Cirka is a wonderful and gracious person who remembers his roots. We are very fortunate to have his support,” said the Superintendent, L. Joan Welter.